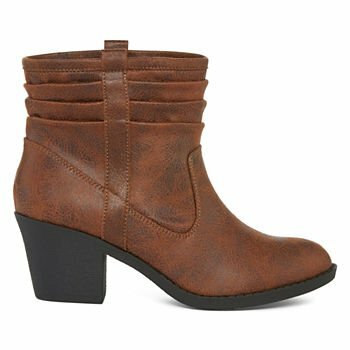 JCPenney Boot Sale Women's Boots As Low As $16.99! 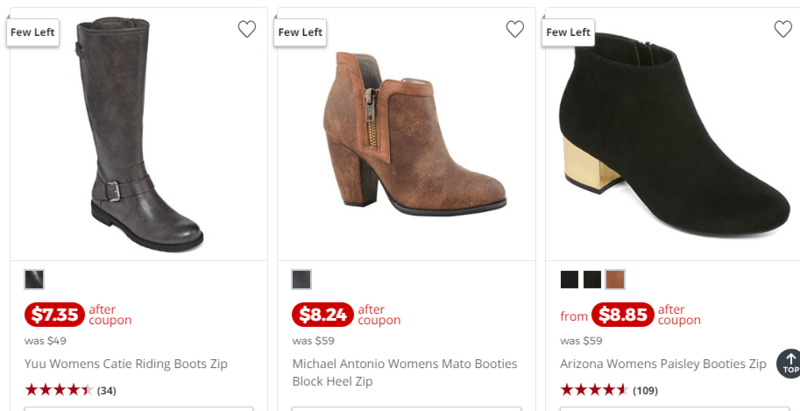 JCPenney is offering a *hot* boot sale right now for women’s boots! You can buy 1 pair of boots at regular price & you will get 2 pairs of boots for free! Plus, there is another sale with boots starting at under $10! If you choose to pick the boots up in store, you will get free shipping too. They have booties, riding boots, over the knee, wide calf & more varieties of boots. This offer is also good for shoes and sandals as well, so there is lots of variety to choose from. Most of the boots start at $60 & up for the buy 1 get 2 free sale (but you will find more of the current styles available). This will make boots as low as $20 per pair when you buy 3of the $60 pairs (maybe if you have a family member/teen or friend who wants to split the order with you). Shipping is free on orders of $49+ right now, or you can choose to pick up in store for free too. If you don’t want to have to buy 3 pairs of boots to get this deal, there are also a number of styles on sale starting at under $10 on this page here. Check out some of the boots included in the sale here.